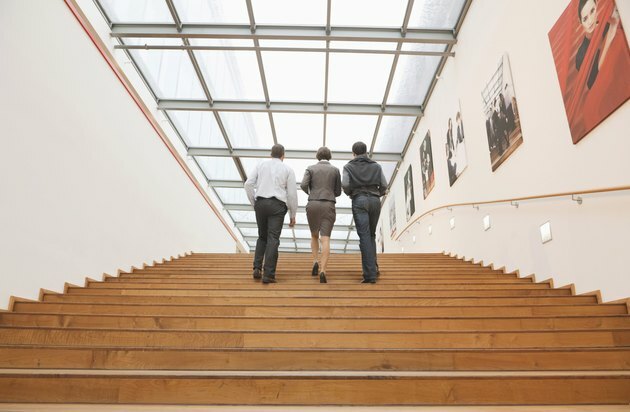 How Many Calories Can You Burn Climbing Stairs? When you arrive at work each morning, coffee in hand, it's tempting to ride the elevator to your floor. This process might feel convenient first thing in the morning, but it won't do anything for your physical fitness. A better calorie-burning option is climbing the stairs. On top of its calorie burn, climbing the stairs contributes to your daily workout and can also strengthen your bones and muscles. Just be sure to consult a doctor before switching up your regimen, to make sure it's appropriate and safe for you. 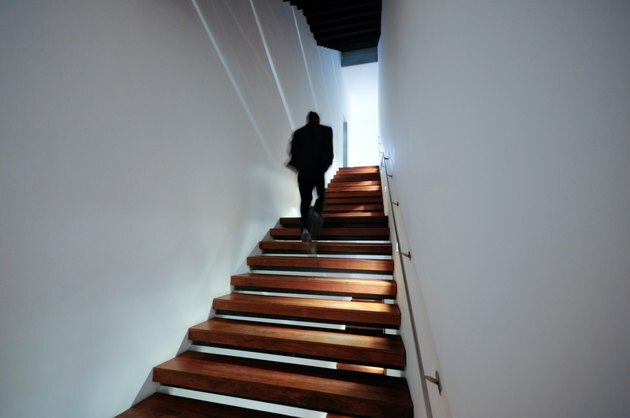 Climbing the stairs doesn't burn a wealth of calories, given the activity takes just a moment. It's far better, however, than standing still in the elevator. HealthStatus notes that a person who weighs 175 pounds burns about 21 calories during a two-minute stair climb. Standing still on a 60-second elevator ride, conversely, burns about two calories. If you climb the stairs several times throughout the day, it's easy to burn more than 100 calories through this exercise alone. Climbing the stairs is such an effective workout that it's possible to duplicate during a visit to the gym. A stair step machine simulates the repetitive action of climbing the stairs and allows you to burn hundreds of calories per workout. 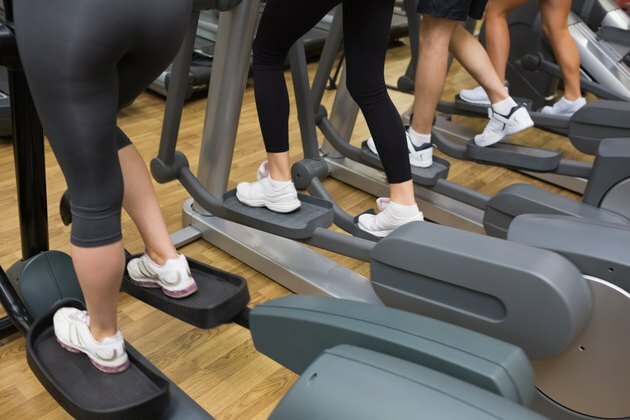 A 175-pound person who uses this machine for 45 minutes, notes HealthStatus, burns about 417 calories. How Many Calories Are Burned Bicycling for 30 Minutes? Is Jumping on a Trampoline Good for Exercise? Jogging for 45 Minutes Burns How Many Calories?